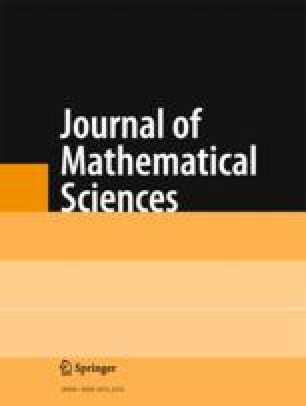 The problem is considered of distinguishing two Wiener processes with known diffusion coefficients on the basis of a finite number of inexact observations on a given time interval. In connection with the optimal choice of the moments of observation, the asymptotics of the maximum of the entropy distance of the arising pairs of finite-dimensional Gaussian distributions are found; the question of the optimal choice of the moments of observations is discussed, and the behavior of the entropy distance is studied for a fixed number of observations when the accuracy is increased. Translated from Zapiski Nauchnykh Seminarov Leningradskogo Otdeleniya Matematicheskogo Instituta im. V. A. Steklova AN SSSR, Vol. 85, pp. 129–136, 1979.